Pilkington MirroView™ is a highly reflective mirror coating with a clear substrate. 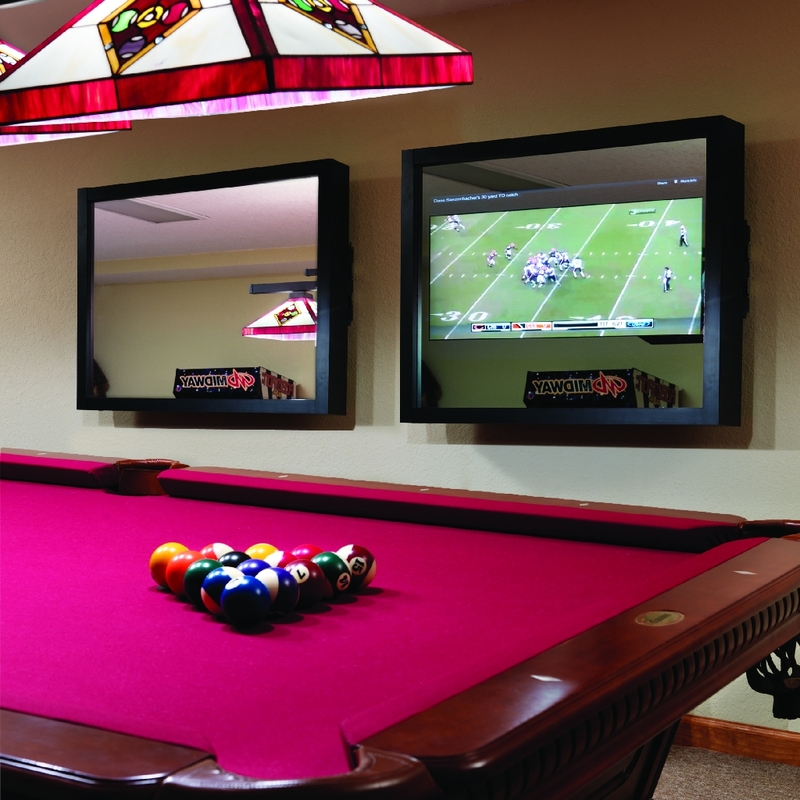 Pilkington MirroView™ gives digital displays and video screens a modern, transitional look. Available in large stock sizes, which can conceal one or multiple displays. With its highly reflective and durable coating, Pilkington MirroView™ can be used as a traditional mirror with a small video screen concealed beneath. Ideal for bathroom applications, this allows individuals to easily view themselves in the mirror while watching television.